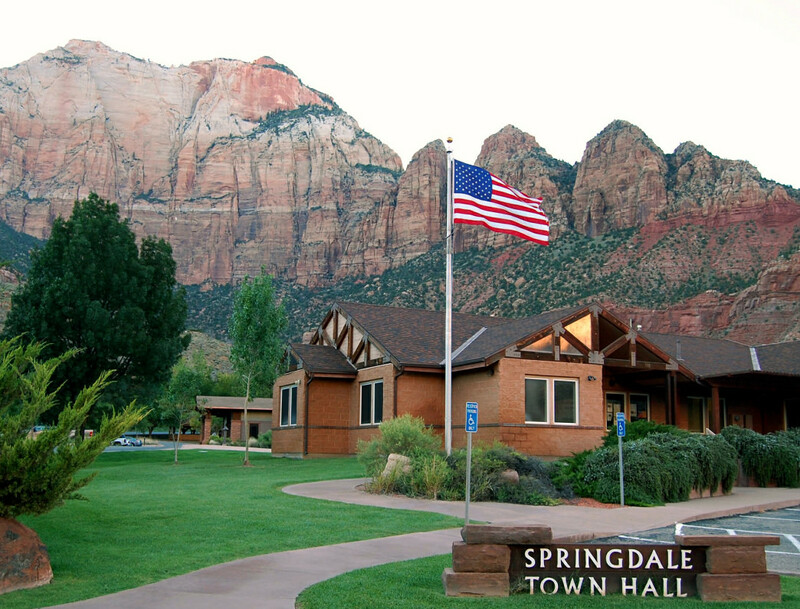 Springdale, Utah, sits at the mouth of Zion Canyon, sandwiched between The Watchman, a pointed stone mountain, and Mount Kinesava on the southern edge of Zion National Park. The small town (with a population of 529) has long been the gateway to Zion and its soaring ramparts sculpted by the twisting Virgin River. While Springdale is surrounded by startling colors and surreal landscapes, it’s also a friendly, welcoming place that hosts over four million visitors annually that come from around the world to marvel at Zion’s wonders and natural beauty. While it’s now filled with visitor amenities, fine restaurants, and diverse lodging options, Springdale takes pride in its pioneering roots, which date back to 1862. The first Western explorers to venture into Zion country were Spanish padres Escalante and Dominguez and their small expedition in 1776. The party splashed across the Virgin River, which they called the “Sulphurous River” because of the nearby hot springs west of Springdale at today’s La Verkin. Escalante noted “a beautiful grove of large, some willows, and wild grape vines” along the river. Later explorers named it the Virgin River for the revered Virgin Mary. In the early 1800s, trappers occasionally ventured into the rugged wilderness but left little record of their passage. In the 1860s, settlers moved north of Springdale and started farming on the floor of Zion Canyon. Early Mormon pioneers arrived in the Virgin River Valley in the late 1850s, settling on fertile bottomlands along the river and establishing small towns in what was dubbed Utah’s Dixie. The first towns included Grafton in 1859 and Shunesburg in 1862. Albert Petty, one of Shunesburg’s first residents, explored the valley for a better site to generate water power for his milling operation. He found it at the mouth of Zion Canyon. Petty promptly sold his Shunesburg land and moved to the new place in the fall of 1862 with his son George and farmer J.H. Whitlock. Petty’s wife named the settlement Springdale for its clear water spring. A townsite was platted in 1863 and the following year Springdale became a suburb of Rockville. The new settlers dug water ditches, diverting the river to irrigate orchards and fields of cotton and crops. Life was tough in the late 1800s in this remote part of Utah, with harsh weather, flash floods, and the danger of raids by hostile Paiutes, but Springdale survived. In 1885, a community hall was built, serving as both a church and school and a post office finally opened in 1897. In the 1860s, a few settlers moved north of Springdale and farmed on the floor of Zion Canyon, an abrupt gorge lined with sandstone cliffs. Isaac Behunin built a log cabin, planted corn and vegetables, and raised dairy cows, pigs, and chickens at the site of today’s Zion Lodge. He called his canyon homestead Zion, a place of rest and serenity. The creation of a road in 1912 allowed people to visit Springdale and the new national monument. Springdale scraped along until a 1909 presidential proclamation established Mukuntuweap National Monument, a small parkland protecting Zion Canyon. Despite articles extolling the area’s beauty, less than a thousand people visited the new park the next year since Springdale was so isolated. It lay a hundred miles from the nearest railroad and any wagon roads were virtually impassable. In 1912 a new road was built up the Virgin River, linking the destinies of both Springdale and the national monument, and creating an infant tourism industry. The area was expanded in 1919 and became Zion National Park. By the time Zion National Park was established, Springdale had become the entrance to Zion’s monumental grandeur. Visitors took the Union Pacific Railroad to Cedar City and then rode touring cars and buses to Zion where they stayed in tents at Wylie Camp. As more tourists arrived, Springdale grew with stores, hotels, lodges, tourist camps, gas stations, and visitor services like horseback rides and guided tours. The Zion-Mt. Carmel Highway, an engineering landmark completed in 1930, opened the park’s eastern access with its mile-long tunnel blasted through sandstone cliffs. By 1941, more than 190,000 visitors passed through Springdale into Zion National Park. 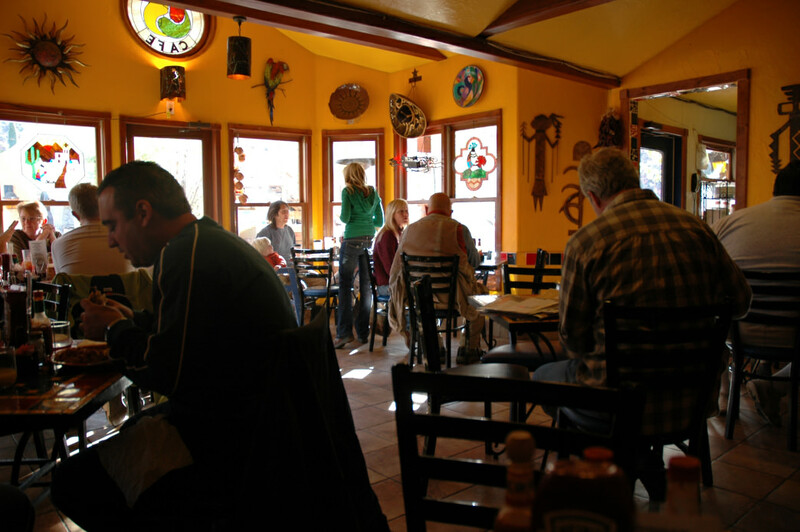 Springdale is a popular base camp for exploring the national park, with a variety of restaurants, lodging, and shops. Since its humble start, Springdale has become the springboard to adventure in Zion National Park, the third-most visited national park in the United States, as well as the surrounding canyons, mesas, and mountains. The towering sandstone walls of Zion Canyon form a picture-postcard backdrop above the town, attracting an increasing number of visitors to its geologic wonders. Springdale charms those visitors with not only gorgeous scenery but also its small-town atmosphere. The town, with a passion for quality of life, is Zion’s hub for dining, shopping, and outdoor recreation. Springdale recognizes that with Zion’s record number of visitors it’s important to offer travelers more than the national park. 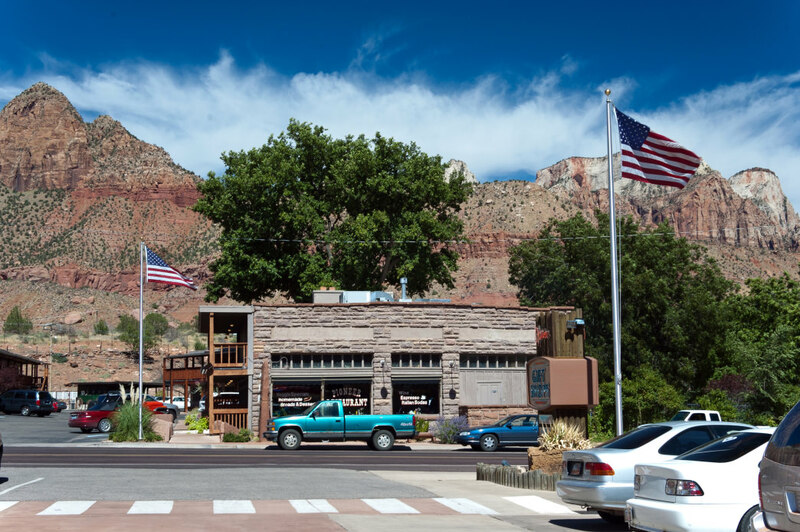 The Springdale Visitor Center in the heart of town not only advises travelers on the best way to experience the famed park but also offers options outside Zion, particularly for adventurers seeking the road less traveled. The surrounding desert landscape has off-road driving, world-class mountain biking, hiking trails filled with solitude and forever views, climbing routes up sandstone spires, and guided trips down watery slot canyons. At the end of the day when the sunset light glows red on The Watchman, Springdale exudes western hospitality with almost three dozen restaurants, vibrant art galleries, and live music. Despite welcoming millions of temporary locals every year, Springdale retains its pioneer spirit with a helpful, friendly smile.